The Year Column in the Council District layer is incorrect. The year is supposed to be the year the council member was first elected, but instead all values have been set to 2016. This is impacting the "Who Is My Council Member?" 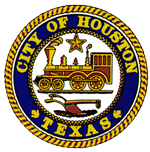 website (http://www.houstontx.gov/council/whoismycm.html) and open data (http://data.houstontx.gov/dataset/city-of-houston-council-districts).